Whispers - the newsletter of the Dereila Nature Inn. 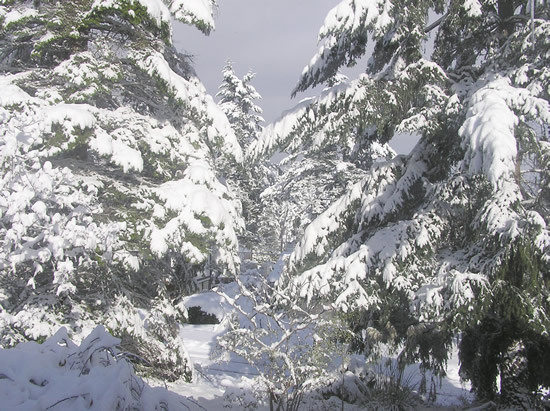 Welcome to January's issue of Whispers, the newsletter of the Dereila Nature Inn - your cyber nature centre - and Happy New Year to everyone! Many thanks for subscribing to our newsletter and visiting our website. We hope you enjoy what you find. It's been a fun and busy year at the Inn and now as we enter 2009, we also enter the third year of being online. We have lots of great ideas for upcoming projects and features, so stay tuned. We hope that 2009 is a wonderful year for all. We start off each month with a trivia question and for January, we go to where the summer sun is shining at this time of the year. Which birds like to attack cars and buses often causing damage, but providing entertainment for some people? Since our last newsletter, it's been another busy month at the Inn with many projects completed and posted. Here's a guide to the latest additions. Just click on the images to go directly to the page. There are now two new Close-ups in Nature features to go with the two added last month. We've taken images and then cropped and zoomed to create a thumbnail image which is usually a design, pattern, or texture. Can you figure out if it's a plant or insect or perhaps a bird or sea creature? All is revealed with the roll-over of your mouse. Click on the images below to visit the two new pages. We have organised our library of bird images and created At-A-Glance pages. The first features a variety of birds of prey, thrushes, woodpeckers, finches and many other songbirds. This page of different groups of birds includes waterfowl, shorebirds, dabblers, divers and waders. The latest photo gallery in the growing collection features over two dozen images of colourful and cheery blooms. There are now almost 20 different galleries to visit. Several images have been added to our collection of water-loving birds. Once again we have several super contributions. 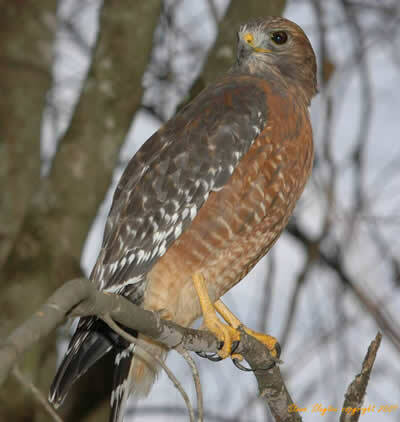 Steve Slayton, a frequent contributor to our newsletter, submitted this wonderful picture of a Red-shouldered Hawk. 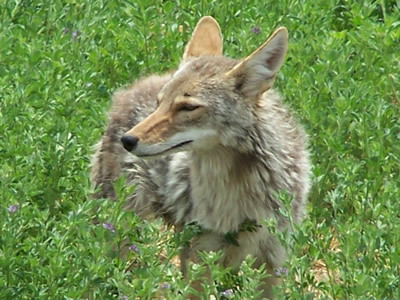 Below, we have a fabulous photo of a coyote submitted by a new contributor, W C Durnil from Arizona. We were also very pleased to receive this image from the North Carolina Native Plant Group for our Provincial and State wildflowers page. 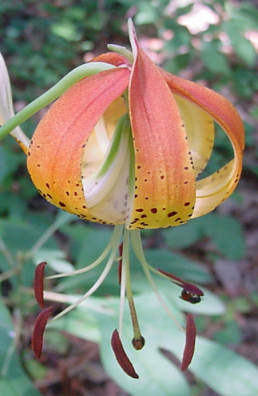 The Carolina Lily, Lilium michauxii, is North Carolina's state wildflower. The photograph was taken by M. B. Baumeister and the image is greatly appreciated. Many thanks for submitting your super photographs! It's a snowy, winter's day down by the lagoon for this month's wandering image. 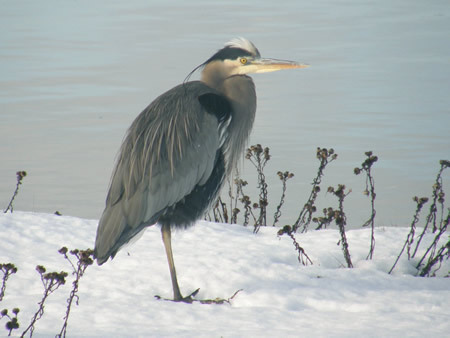 The magnificent Great Blue Heron waits patiently in the snow. Each month we would like to invite you to submit a funny caption to go with one of the images in our "Caption This!" collection. 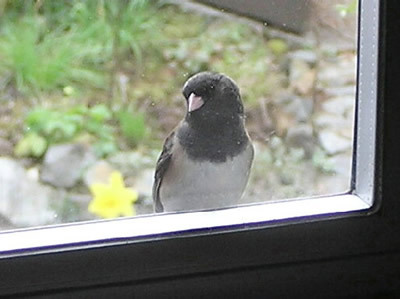 This month we have a Dark-eyed Junco looking for something. Perhaps you could help with a caption? Number one: "Hey! I've been knocking for a long time!" Number two: "We are all waiting out here." Occasionally we come up to a location where we find a rare plant that we just have to photograph, only to discover that it is too shady and dark for the camera to focus properly. Using a flash is a possibility, but that can sometimes spoil the image and it doesn't help the problem of focusing in the dark. 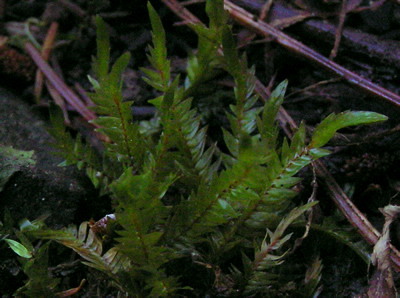 Here is how we took this image of the moss Fontinalis neomexicana. 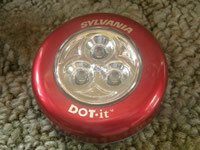 We carry one of those small round lights called, DOT-it. 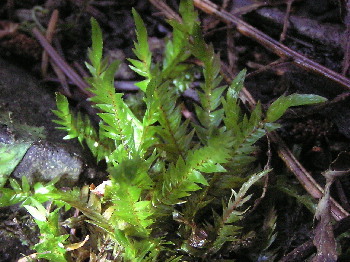 We shone it on the moss and focussed the camera, and while leaving the light on the subject, snapped the image. The result was a pleasing image with subtle highlights of light. This tip may help you in many other ways where that little bit of extra light is needed. This guy had a millipede for a pet that he kept in a little box. One day he asked it, "Would you like to go to out for a short walk with me?" but there was no answer from his new pet. He waited a few minutes and then asked him again, "How about going out for an evening walk?" Again, there was no answer from his new friend. He waited a few more minutes then he asked one more time, putting his face up against the millipede's house and shouting, "Hey! You in there! Do you want to go out for a walk!!!?" An agitated little voice came shrieking from the box. "I heard you the first time...I'm putting on my shoes!!!" 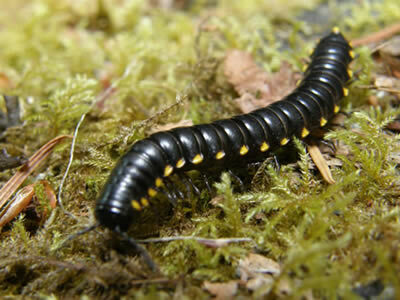 This is his friend, Harpaphe haydeniana, the yellow-spotted millipede. We have to use these images somewhere. Don't forget to make sure that there is water for the birds in the cold months of winter as it is very important at this time of the year. 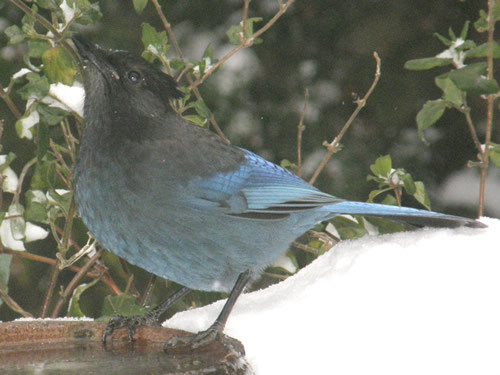 Here a Steller's Jay takes a drink during some chilly conditions. You can now add a gadget to your iGoogle homepage featuring images from the our wessite. It's colourful, free and easy. For more information visit the Inn's Add a Google Gadget page. We are placing more and more featured books on our various pages. We receive a very small commission from anything purchased through the Inn on Amazon.ca or Amazon.com - not just recommended books - which all helps pay for our webspace and other expenses. So please, shop with us and support our project! Our next issue will be in your Inbox during the first week of February. See you then! 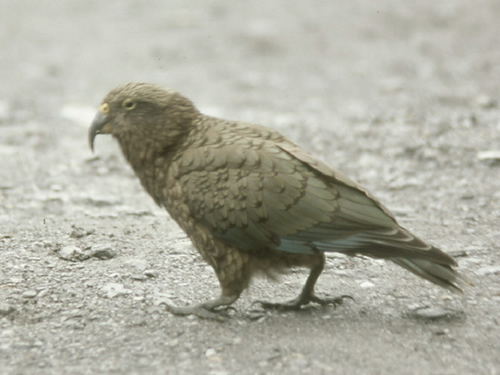 The New Zealand Kea Parrot, one of the few alpine parrots in the world, just loves to pull out all the rubber trim around bus roof vents and the windscreen wiper blades of cars!